The installation of this package failed. With nothing in the event log shedding any light I tried re-downloading the installers, with the same result. My environment was Windows Server 2008 R2 x64 Standard + Domain Server, with SharePoint 2010 Enterprise and Office 2010 x86 installed. Googling turned up nothing useful, so for no apparently good reason I decided to check the digital signatures of the downloaded files, which surprisingly showed they weren’t valid. 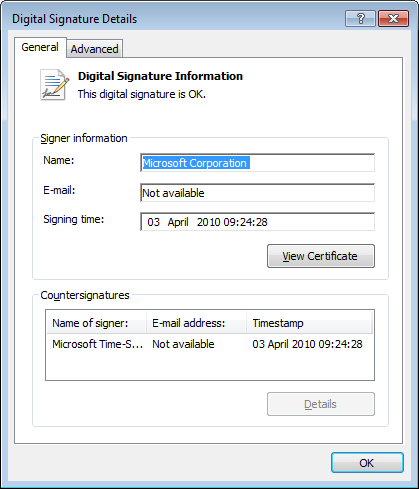 Re-downloading the files (yet again) on a different machine, was more successful and showed the digital signatures to be valid. Attempting to install now, proved much more successful. I have experienced the same problem with the Service Pack 2 for SharePoint Server 2010. Downloading the file in a different machine also solved my problem.